Many a times we come across a scenario, where we need to use multiple CTEs in a single query. For instance assume first CTE gives employee details and second CTE gives total salary paid to the employee year to date after performing all the aggregation of the salary paid from the beginning of the year to till date. 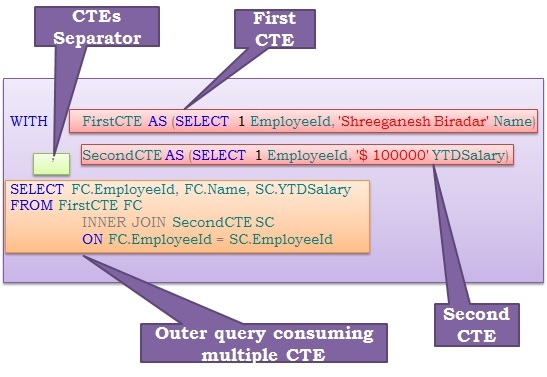 So, here combining the first CTE with the Second CTE in a single query gives a meaning ful details of employee with his year to date salary. Could you please let me know about OPTION clause?